Lil Country Librarian: My TpT store will be on sale during Cyber Monday & Tuesday! Welcome! Lil' Country Librarian is a blog devoted to assisting elementary teacher-librarians and early childhood teachers/parents in finding resources quickly and inexpensively. You will find lesson plans, classroom tips, resource links and printables that will make teaching library easier and more meaningful for your students. I hope you enjoy your visit. Please come back soon! My TpT store will be on sale during Cyber Monday & Tuesday! Be sure to head over to my TeachersPayTeachers store on Monday and Tuesday to take advantage of my 20% off sale* in addition to the discount you receive through TpT. You'll receive 28% off your favorite products! Be sure to use the code: CYBER for the TpT discount. 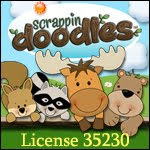 *The only product of mine not included in the sale is my Hundreds Chart Hidden Picture Activities Bundle. I loooooooove this site!!!! I will tell every 1 of my 4th grade friends!!!!! God has definitely blessed my life! I have a handsome, hard-working husband and two precious children, a son and a daughter that I love and adore. We live on 50 acres in the beautiful Ozarks. I am a former Kindergarten teacher turned K-6th grade Teacher-Librarian. I love spending time with my family and friends, reading, shopping at flea markets, going on road trips, canning, gardening and living life more simply. This policy is valid from May 31, 2012. This blog is a personal blog written and edited by me. For questions about this blog, please contact Marlana Howerton at lilcountrylibrarian@gmail.com. Copyright 2010-2019 - Marlana Howerton - Lil' Country Kindergarten and Lil' Country Librarian. Powered by Blogger. I created my blog header and button using purchased background papers and clip art. The fonts used in my header are by Kimberly Geswein and I have purchased a commercial license through TpT to use them in my blog design.